Born: 7 June 1970 in Brooklyn, New York City. Kenny "Dope" Gonzalez is an NYC-based DJ, music producer, and recording artist. Best known for his house music, hip-hop, and funk productions/edits/re-edits. 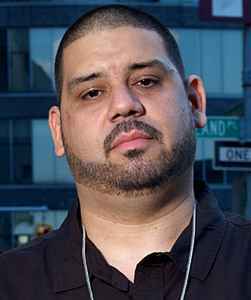 Often he works with partner Louie Vega mainly as Masters At Work or Nuyorican Soul, but also using other aliases either for joint work or their own side projects. He owned the Dopewax label.